Saving on shoes can free up money for larger goals, like buying a house or a car. Pure thrift isn’t the only reason to repair instead of buying, though. Comfort is another; if you’ve got a pair of shoes that fit – like a glove? – or that make you feel like a million dollars, then think about repairing them instead of hoping and praying that the replacement will look and feel just as good. Of course, the costs and benefits of shoe repair are going to depend largely on what type of shoe it is. Athletic shoes that cost $50 or less likely aren’t worth more than a quick shoe-glue fix. Your $200 dress shoes or boots, on the other hand, are worth a cobble or two. Before we dive into the nitty-gritty details, know that shoe glue can work wonders when it comes to fixing shoes. You can purchase shoe glue for under $8, making it a much cheaper option than buying new shoes. 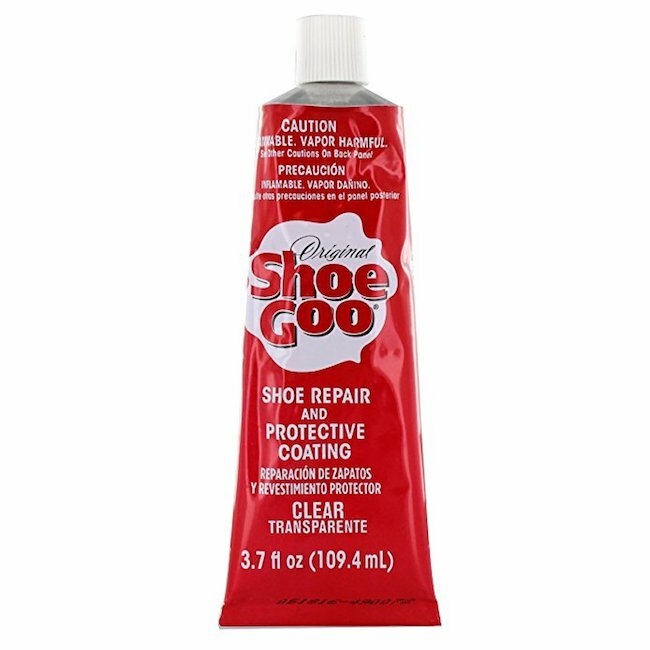 A cheap and well-reviewed option for shoe glue is Shoe Goo, which works for fixing worn shoes or boots. You can purchase Shoe Goo here. How Much Does It Cost to Repair Shoes? 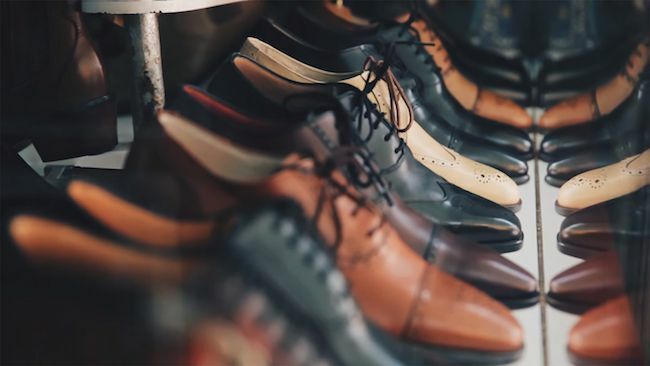 You can replace just about any part of a shoe, kind of like a car, and prices are definitely going to vary, so you’ll want to do some research. Below are some of the common shoe repairs and their accompanying ballpark prices. Depending on the material of the shoe, whether it’s rubber, leather, etc., it will cost you roughly $10 to $40 to replace the heel on a high-heel shoe. A good rule of thumb is that you should have around 2 millimeters of plastic left on the heel. Any less than that, and you might want to start shopping for a new pair. 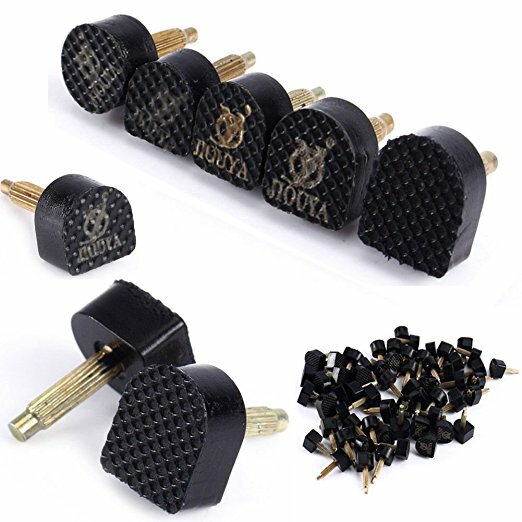 For under $12, you get 60 pieces of dowel lift replacements, which are good for repairing the heels of 30 shoes. You can purchase Dowel Lift Replacements here. Note: If you’re having trouble removing your broken heel, you may need pliers made specifically for shoe repair. Do you need a half or whole sole replacement? Soles are usually repaired along with the heel for $30 to $80 total. 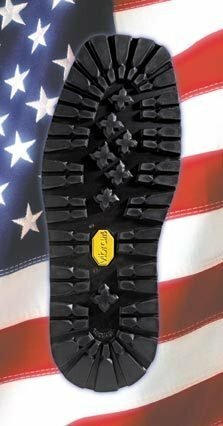 When repairing soles on boots, a Vibram Kletterlift Full Sole Replacement may be a good option. It includes a gripping pattern that’s great for outdoor work. You can buy this full sole replacement here. If your insole has worn thin or simply isn’t providing you with the necessary support, you can either replace it yourself or have a professional do it for you. The insole of the shoe is important for anyone’s comfort, but if you’re working on your feet, they’re especially important. 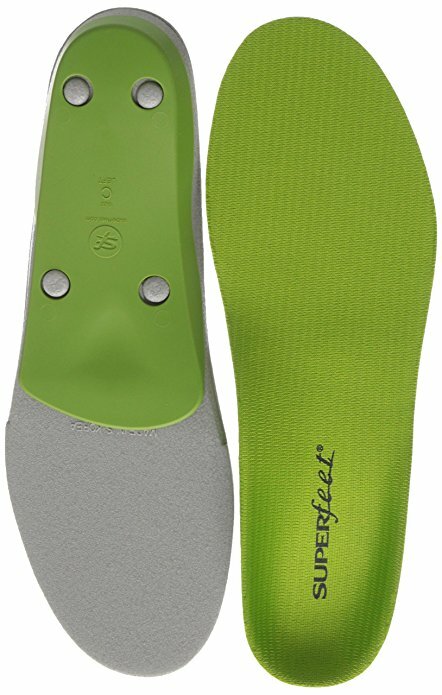 Superfeet Heritage Insoles are high-arched, creating maximum support for your feet that cost $28 to $60. You can select a color and your specific size and include them in your shoes. You can buy the Superfeet Heritage Insoles here. If you want to keep your sole from wearing thin, add a sole protector to your shoe. A sole protector is a thin piece of rubber that goes over the leather sole to make it last longer. Typically, a sole protector will cost you $15 or more, but there are some cheaper options for sole protectors. 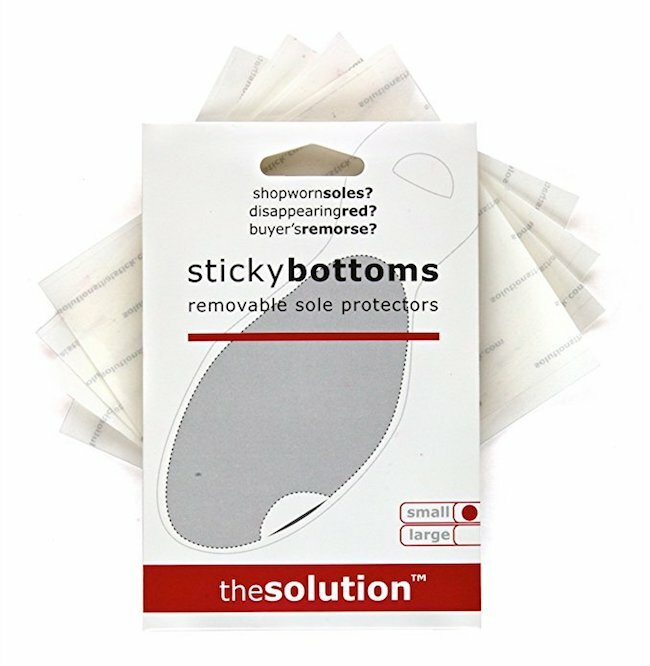 You can buy this sole protector here. If your shoes aren’t falling apart but you need a little extra wiggle room for your toes, you should consider a shoe stretcher. 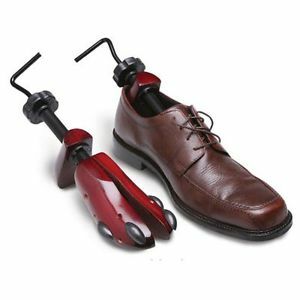 A shoe stretcher – just as its name suggests – stretches shoes. So instead of buying a completely new pair, you can make a smaller pair do the trick. While prices may vary, you can purchase a shoe stretcher for around $20. You can purchase a shoe stretcher here. And if your shoes feel fine but look a little rough around the edges, there’s a variety of options available for spiffing them up. For instance, the Kiwi Select Shoe Care Valet is the perfect way to make your shoes look as good as new. 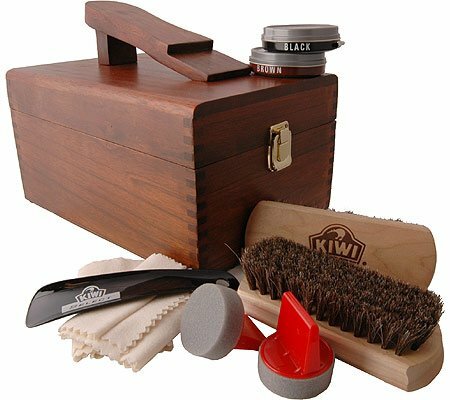 You can purchase the Kiwi Select Shoe Care Valet here. Deciding to repair over replacing your shoes is about more than just the cost. Different cobblers will make the repair in different ways and with different materials, so a cheaper repair may not be worth the money. Conversely, sometimes a shoe repair will last longer than the factory job if the cobbler is using high-quality materials. A CBS Minnesota writer did a shoe repair experiment with her favorite boots and found that to repair them would cost about half of what she paid for them – but it would’ve cost less if she’d properly maintained them all along. So the skinny is you can save money in the long run by repairing quality shoes instead of wearing them out and then replacing them. But you need to perform basic shoe maintenance along the way and find a good cobbler before your shoes are completely worn out. What kind of shoe repair experience or advice do you have for us? What do you hope to do with the money you save on shoes? If you’re looking to spend it on a home, we’re ready to help you reach that goal today! That may be true in some cases. It would depend on the material used and whether you have the skill to do the repair. I’m glad you like it, Jafar! I Have a Pair Of Ferragamo Shoes and Perhaps The Shoes Buckle Got Damaged. Is It Possible To Get It Fix? Hi John, very informative article! Question: What about sneakers? If sneakers’ sole worn out, can cobbler replace it with new one (rubber sole)? May I know the approximate cost? I don’t know the answer to that question, but I’m going to put this in our list of possible topic ideas for upcoming posts. Why would you want to replace the sole to a pair of tennis? By the time the soles would wear out enuf to be close to needing replacement, the padding n all will hv been broken down so much, that you don’t get the proper support and padding. I’d consider if your heels and knees were worth getting spurs to torn muscles , flat footed up to as bad as back n neck issues..all from bad foot posture, padding, impact etc. A dress shoe with a hard sole or somewhat hard shoe, i can understand replacing the inner padding n arch supports as needed then replace the heels n full soles when they wear low. Repairing rather than replacing shoes is also good for the environment because it reduces waste! That’s a great point, Akwasi! You conserve materials in the repair process. We’re glad we could help, R. Durden!